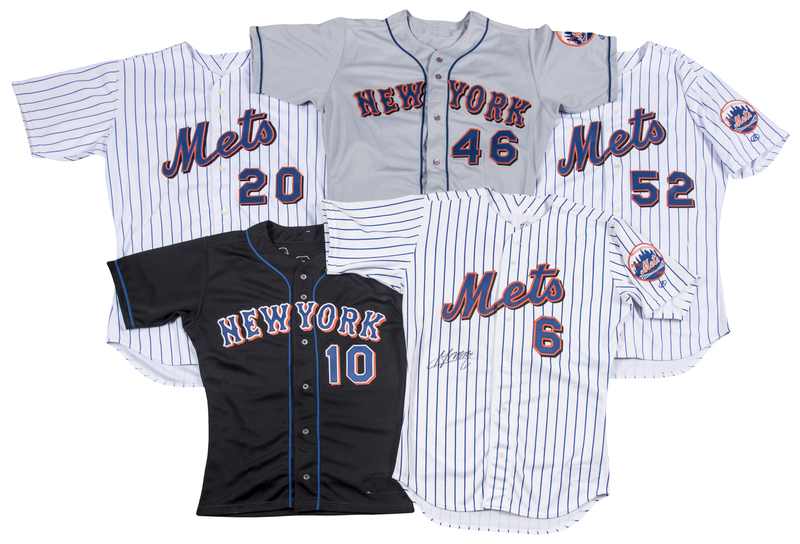 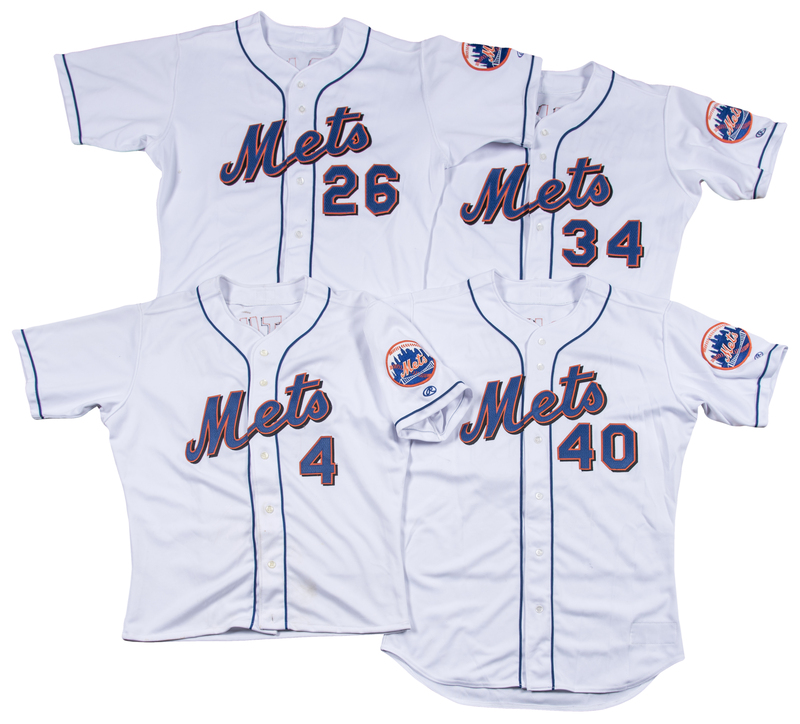 Offered here is a collection of nine game used Mets jerseys from 2000, including two signed examples. The first jersey is a white button-down pinstriped home jersey worn by Melvin Mora. 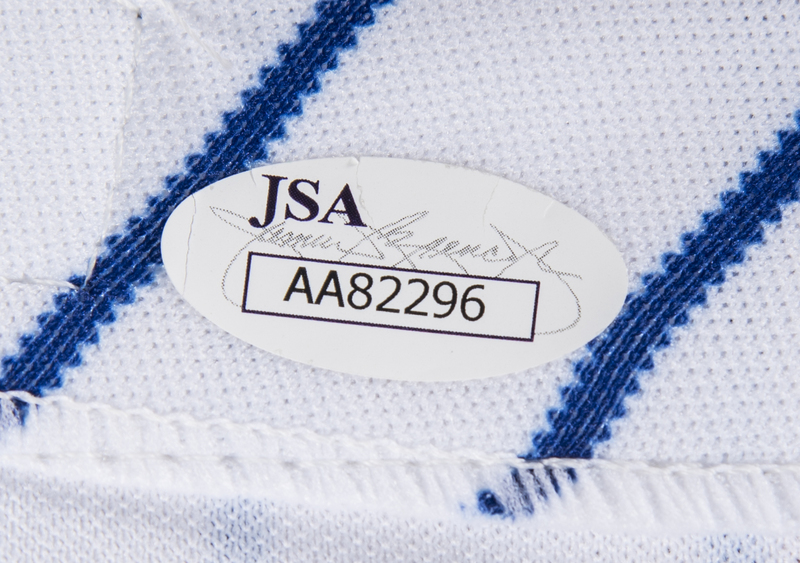 The jersey is a size “44” and tagged “Set 1 2000”. 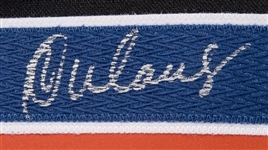 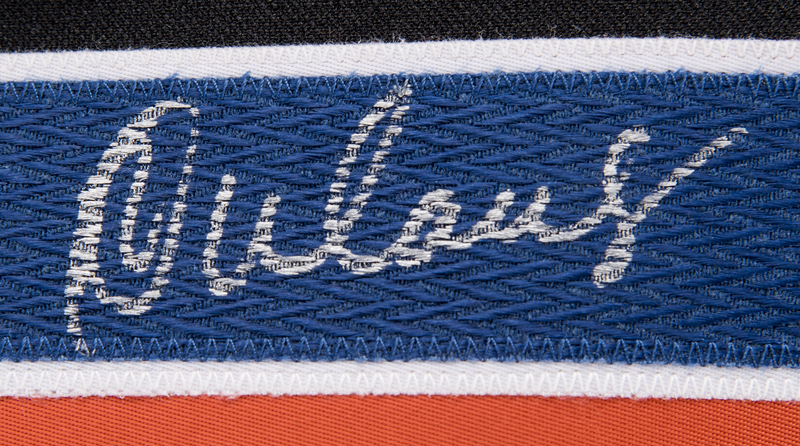 Mora has signed the chest of this jersey in black marker. 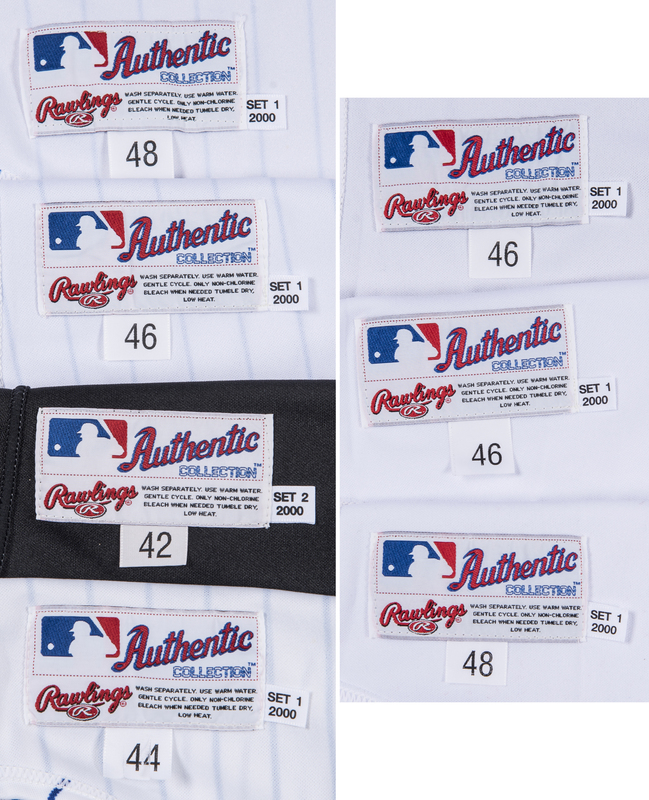 The second jersey is a size “42” black alternate road jersey worn by Rey Ordonez and tagged “Set 2 2000”. 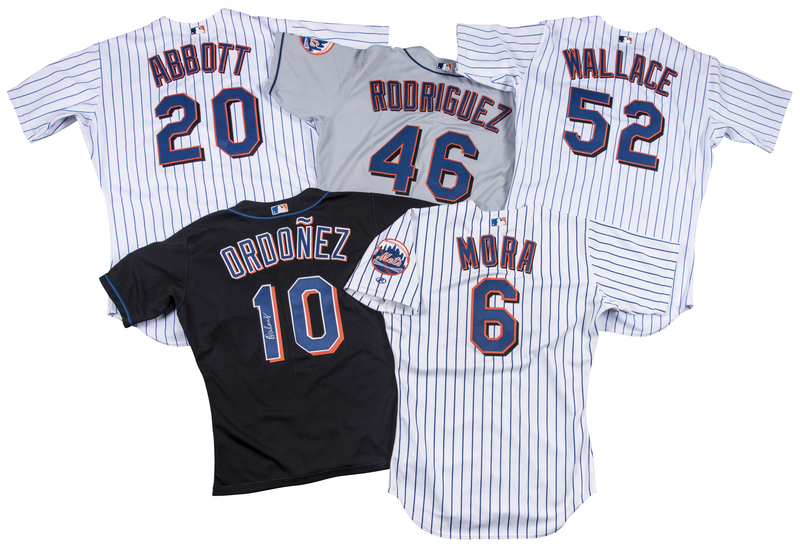 Ordonez has signed the “1” digit on the back of the jersey in silver marker. 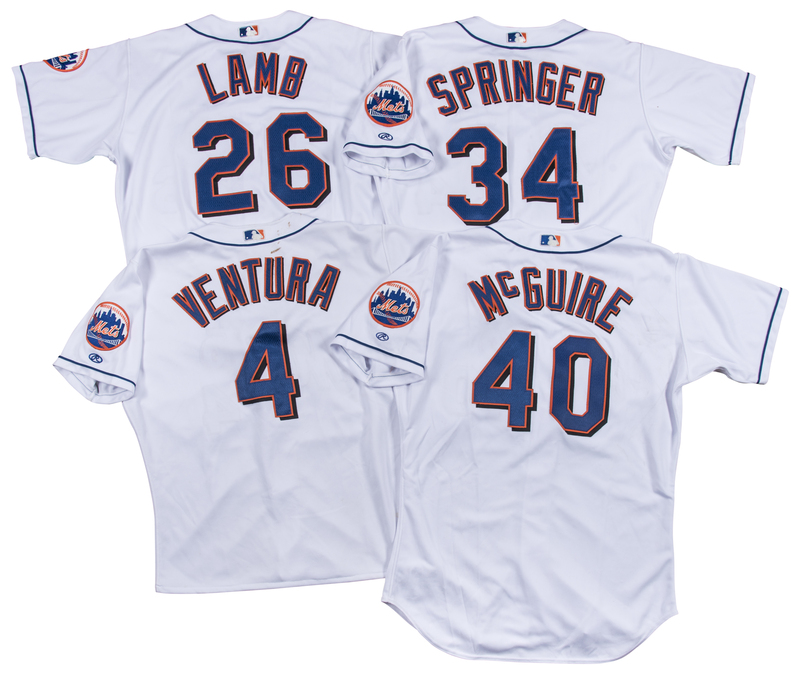 Other jerseys in this lot include a white button-down size “48” home jersey worn by Ryan McGuire and tagged “Set 1 2000”, an untagged white button-down home jersey worn by Robin Ventura, a size “46” white button-down home jersey worn by Dennis Springer and tagged “Set 1 2000”, a gray button-down road jersey worn by Rich Rodriguez in 2000, a white button-down pinstriped size “46” home jersey worn by pitching coach Dave Wallace and tagged “Set 1 2000”, a white button-down size “46” home jersey worn by David Lamb and tagged “Set 1 2000”, and a white pinstriped button-down size “48” home jersey worn by Kurt Abbott and tagged “Set 1 2000”. 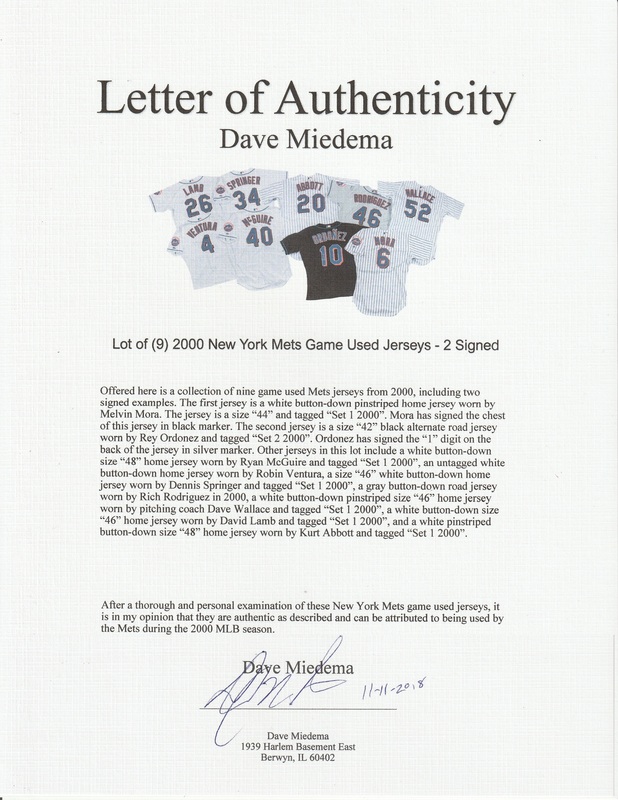 The signed jerseys each come with a COA from JSA (AA82295, AA82296) and the Rodriguez jersey comes with a LOA from noted game used jersey expert Dave Miedema.